This coat is so classy, and would look amazing paired with a plain kameez and a statement necklace. Love the scalloped edges and slight trail. The details are what makes me love this piece. The subtle embellishment on the neckline and belt, the frayed finishing and the overlay/underlay look. This dress is very feminine and pretty. Oh my my, this really caught my eye. A suit in a beautiful burgundy colour with work on the blazer collar. 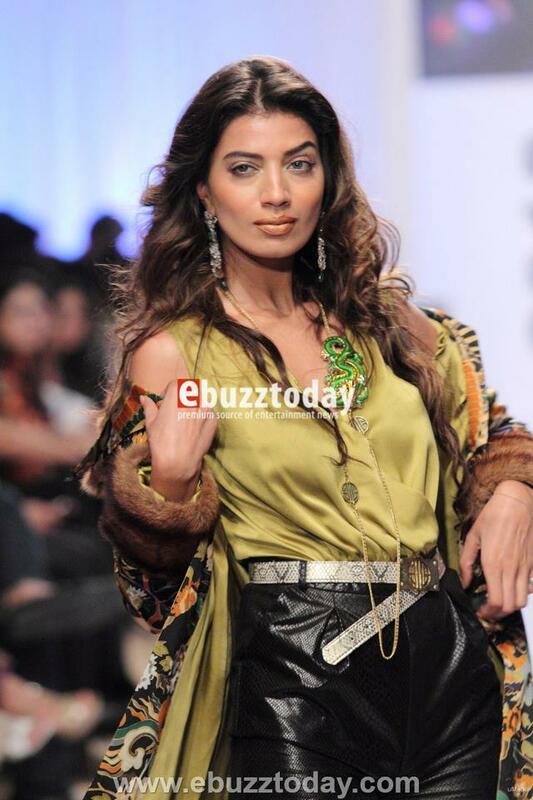 Great fusion of Eastern in a totally Western style. A statement suit at its finest. Okay so I also love the leather shorts but that's a different story all together. This trench is so FIERCE. Love the bold colours and the print. The fur finishing on the sleeves and collar look divine and MAKE this piece come together.This is another statement piece. Okay so the dress on the left looks like a Balmain inspired dress with the intricate embroidery and silhoutte. The work on it is to die for. 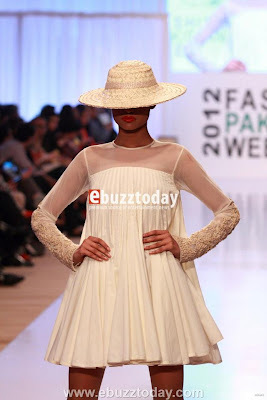 Especially the use of beige embroidery on ivory. I like the layering look with the sleeveless pull over on top as it really gives the piece a 'style'. The dress on the right with the exaggerate pleats is so feminine and flowy. Adore the mesh inserts on both. Love both equally, which do you prefer? What were your favourite pieces? Do share! 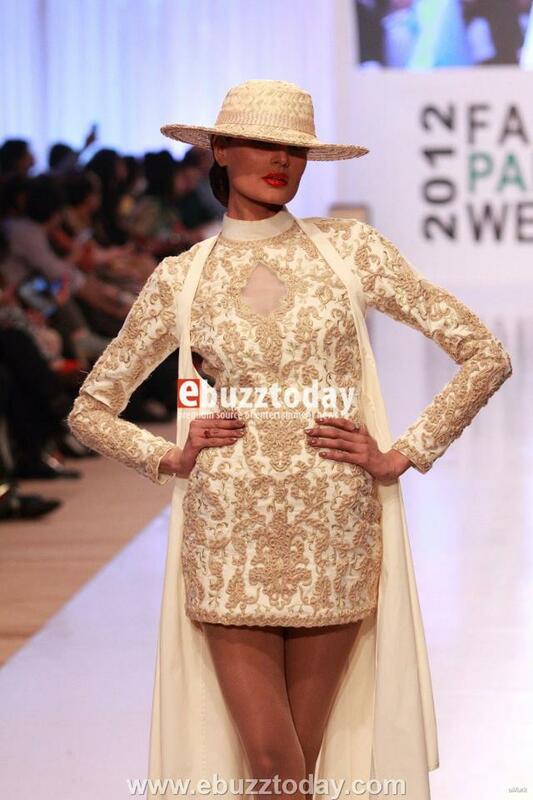 I love Maheen Khan's Chantilly lace coat. I did not like Fnkasia's out of africa's collection.